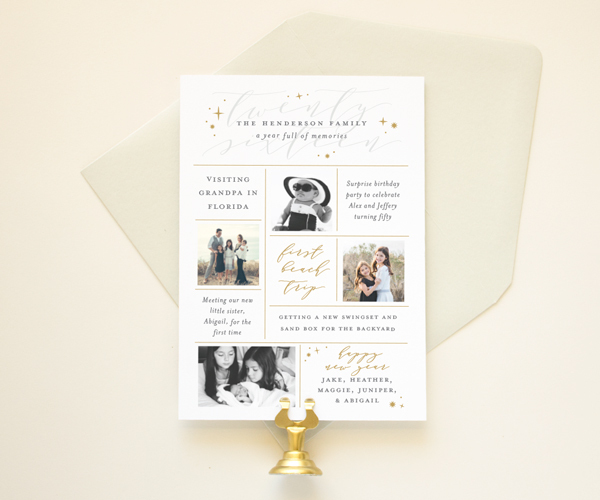 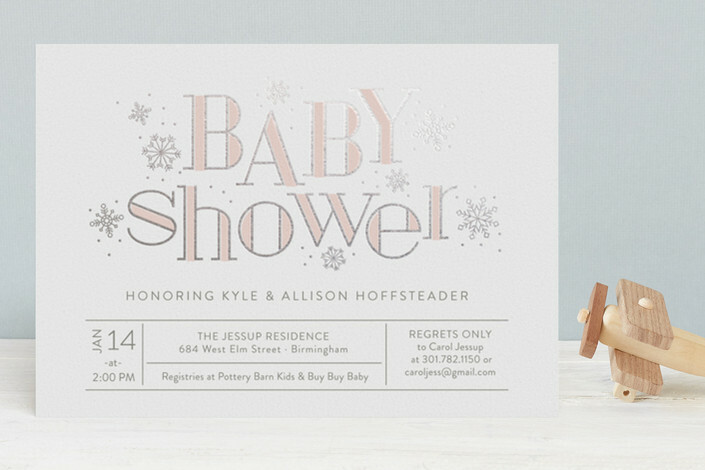 This elegant baby shower invitation for Minted features real silver foil snowflakes – perfect for your winter baby shower! 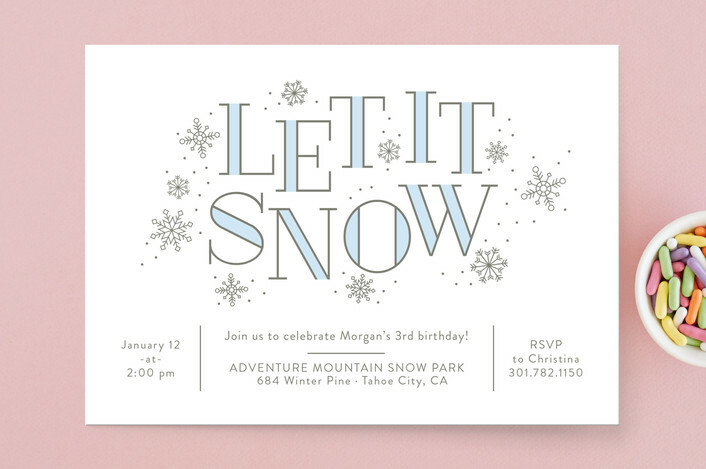 This “Let it Snow” theme party invitation is great way to celebrate your child’s winter birthday! 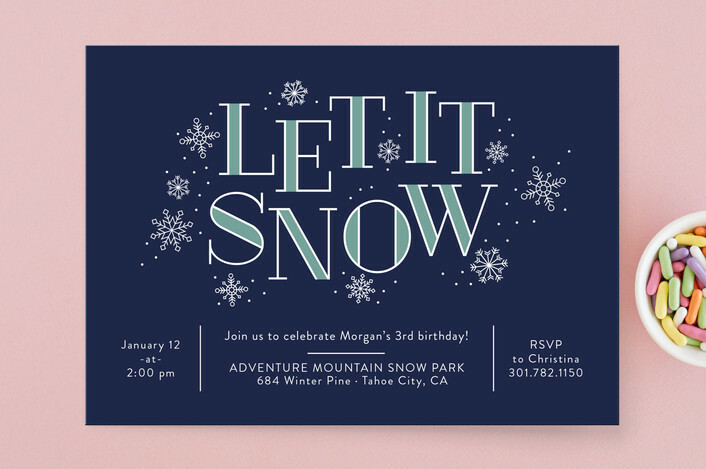 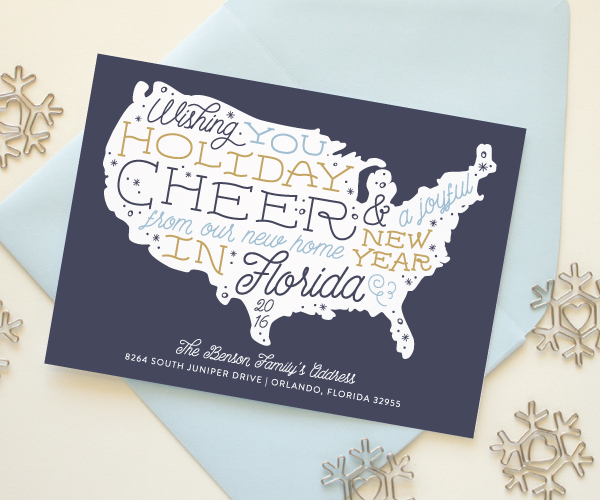 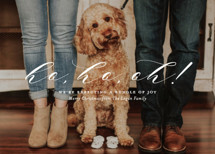 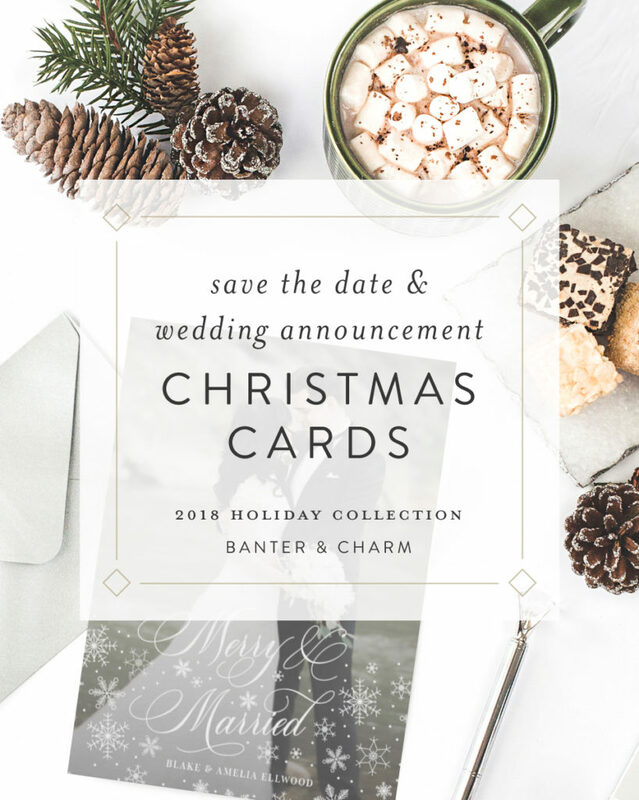 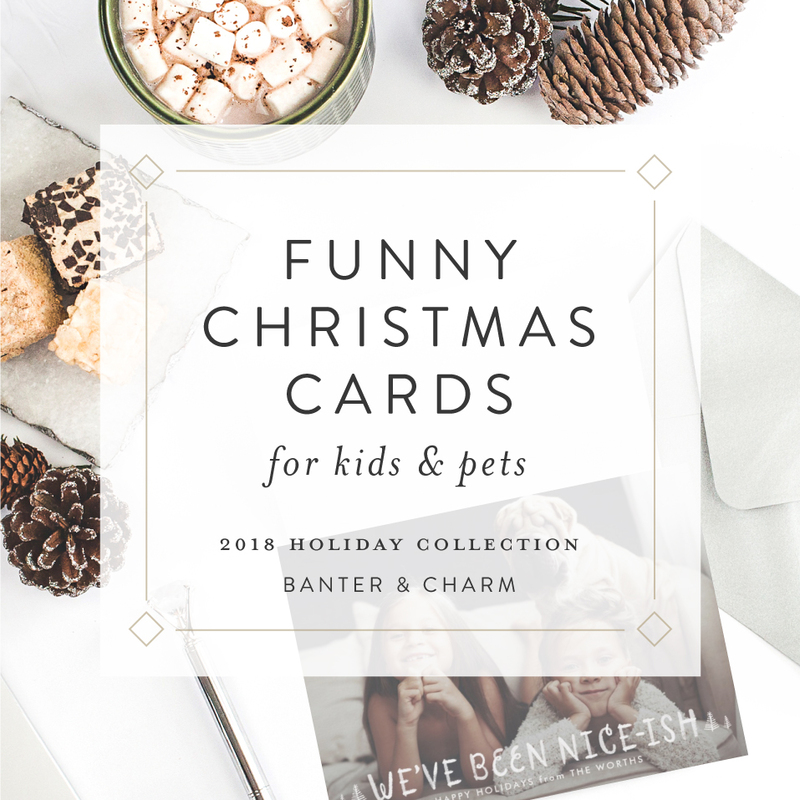 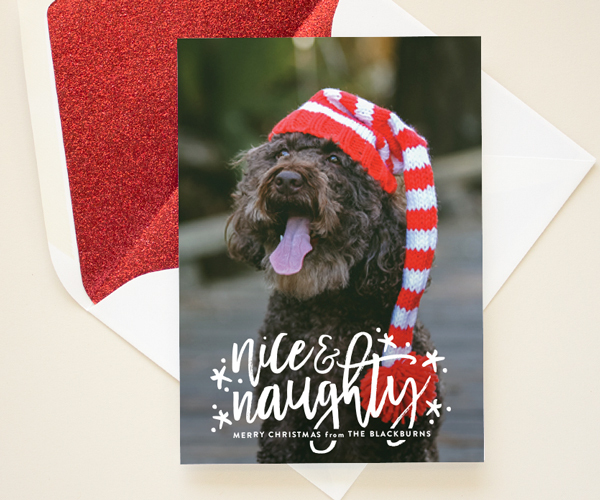 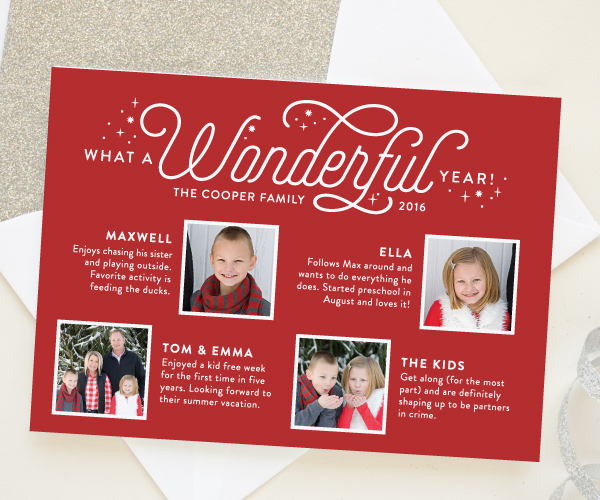 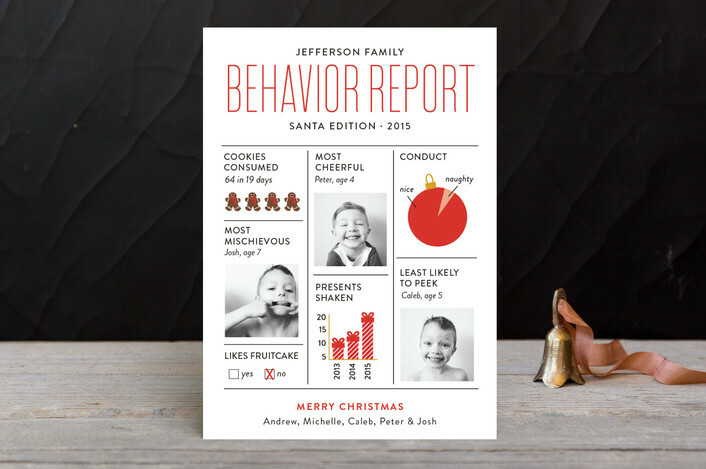 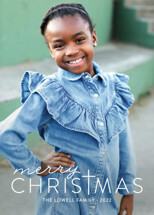 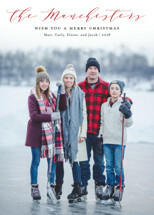 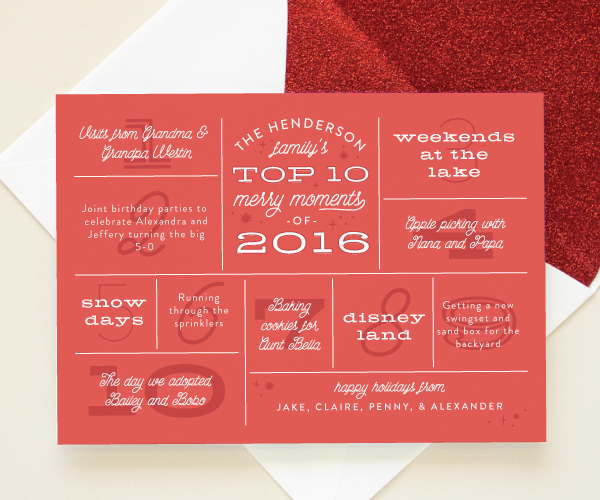 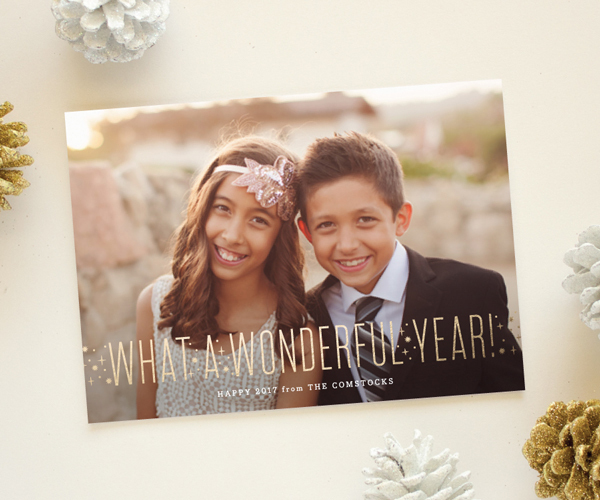 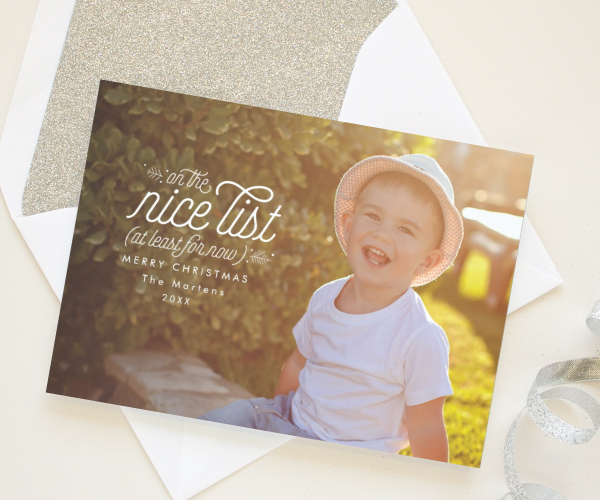 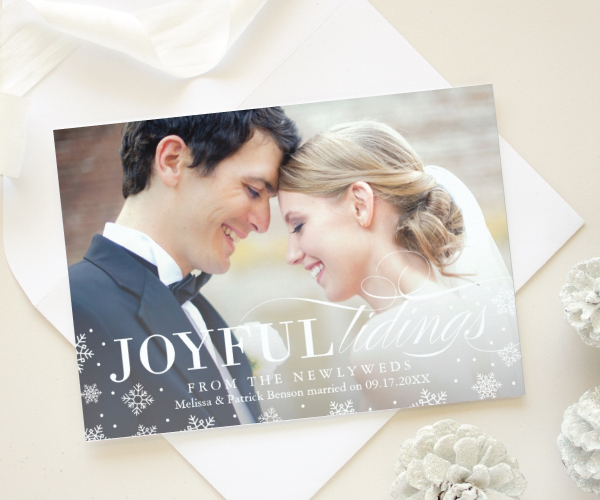 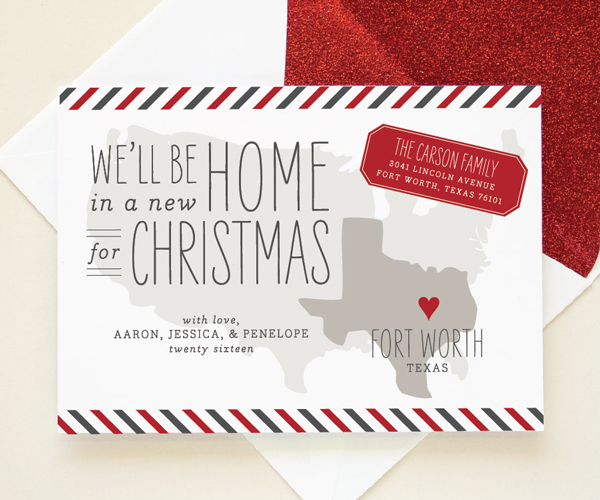 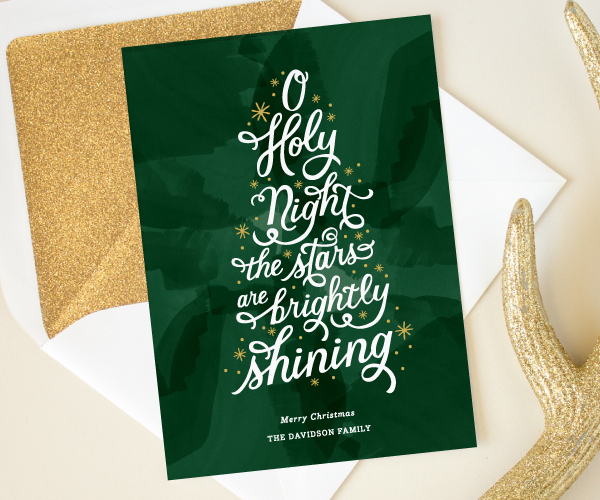 Or customize the wording to make it a fun sledding party invite or a holiday cocktail party invitation. 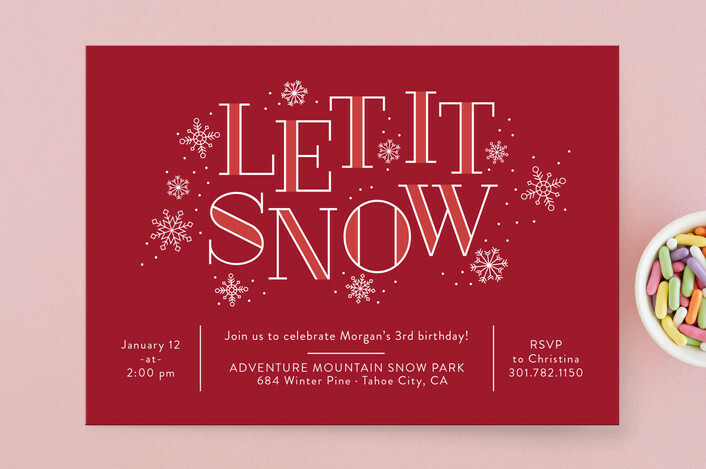 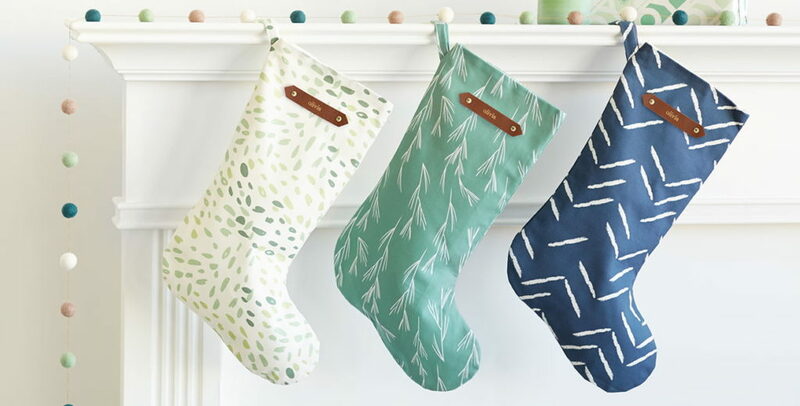 To a festive red and white Christmas color scheme. 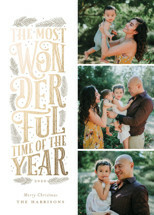 It may still be officially “summer”, but in my world September marks the start of fall. 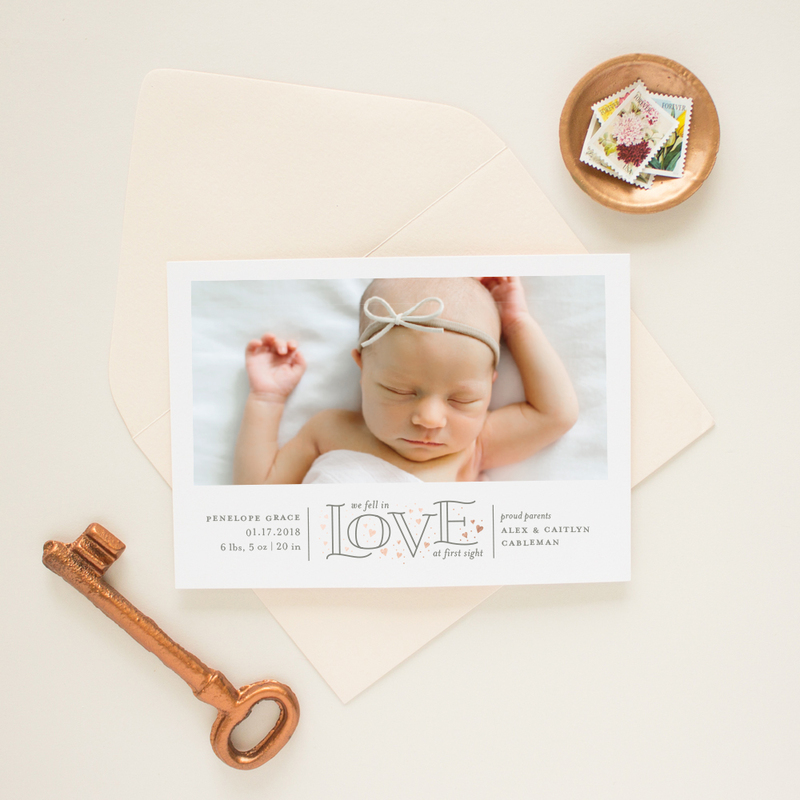 And with fall comes all things pumpkin! 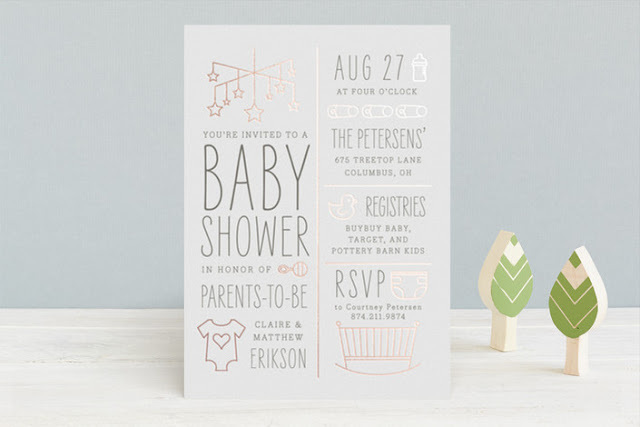 This Pumpkin Spice theme baby shower invitation for Minted would be the perfect way to celebrate a mom-to-be at her autumn shower. 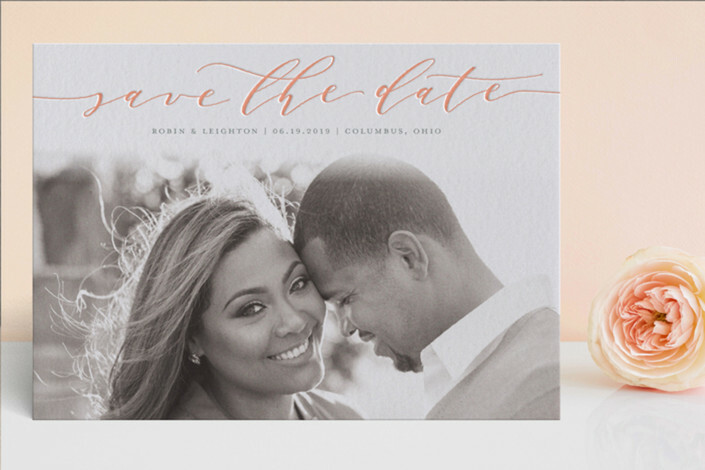 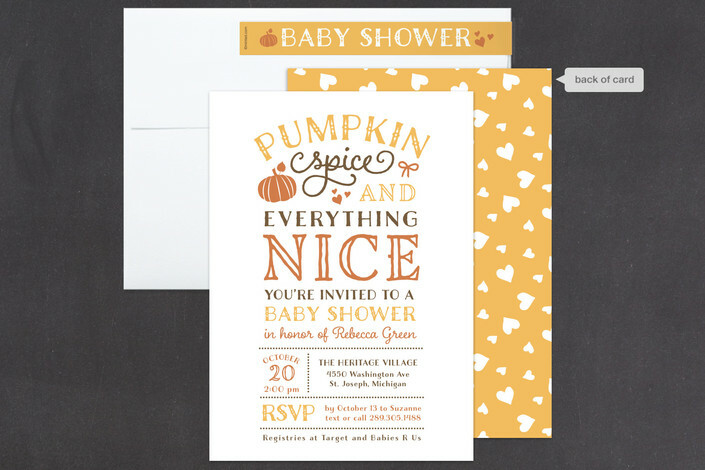 The invites feature the phrase “Pumpkin spice and everything nice” accented with a pumpkin illustration. 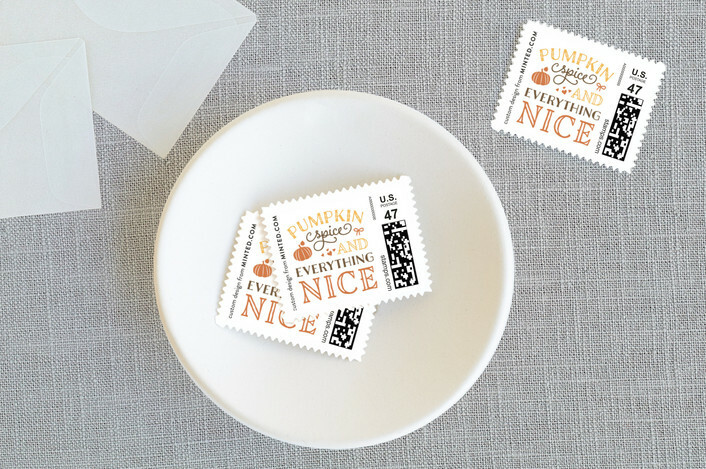 Put the finishing touches on your shower invitation with these matching custom postage stamps in the same pumpkin spice theme. 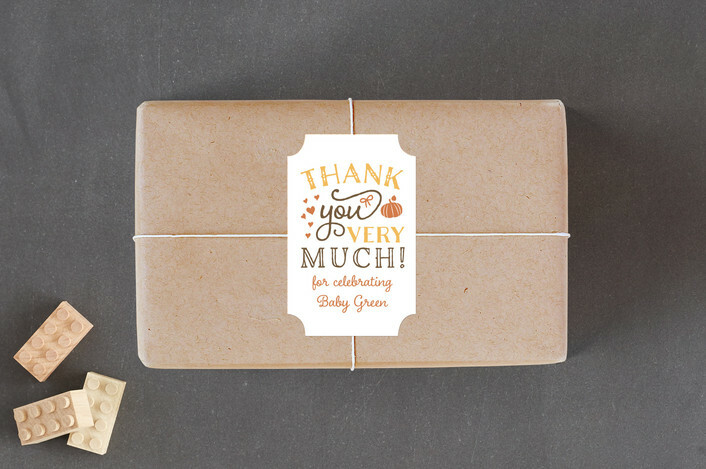 Or these pumpkin spice thank you stickers are the perfect way to tie in your shower decorations with the invitation design. 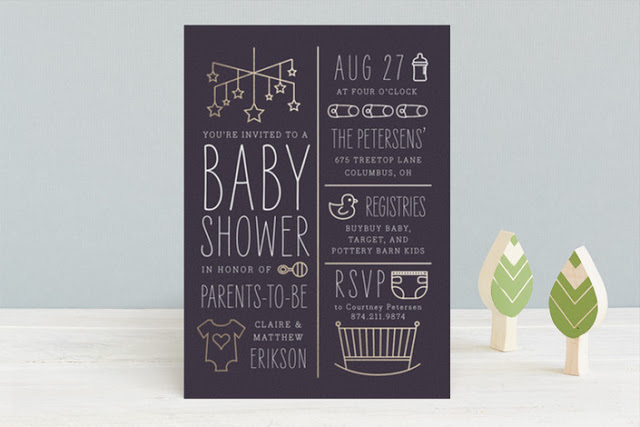 Expecting a fall baby means I’ve been extra inspired to create unique autumn and Halloween themed invitations and announcements this year. 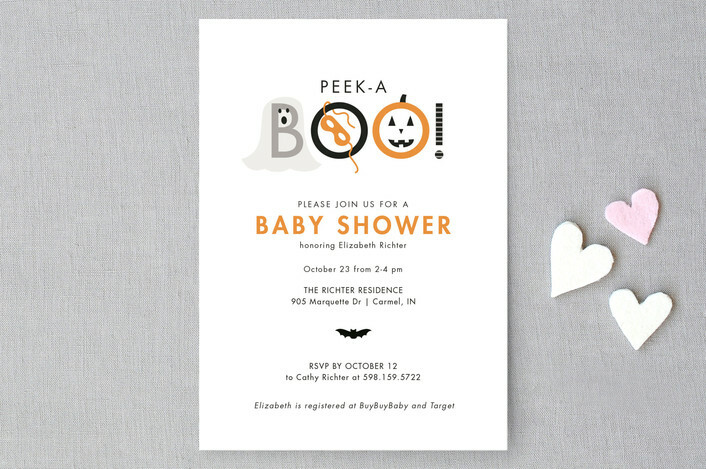 Peek A Boo is probably my favorite – this adorable baby shower invitation is perfect for a mom-to-be’s baby shower that falls around Halloween time. 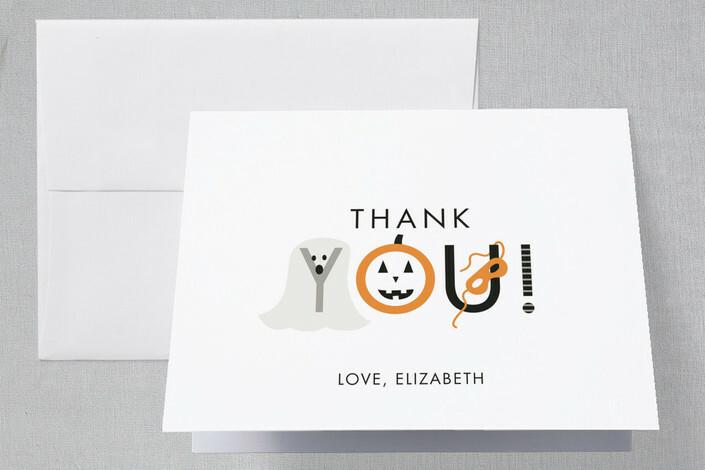 And how cute is this matching Halloween costume thank you card? 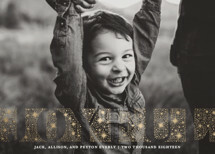 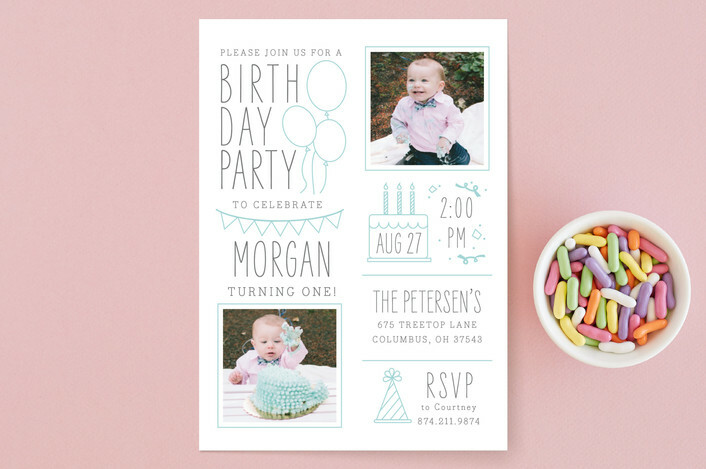 This adorable birthday party invitation for Minted features fun illustrations and two photos of your birthday boy or girl! 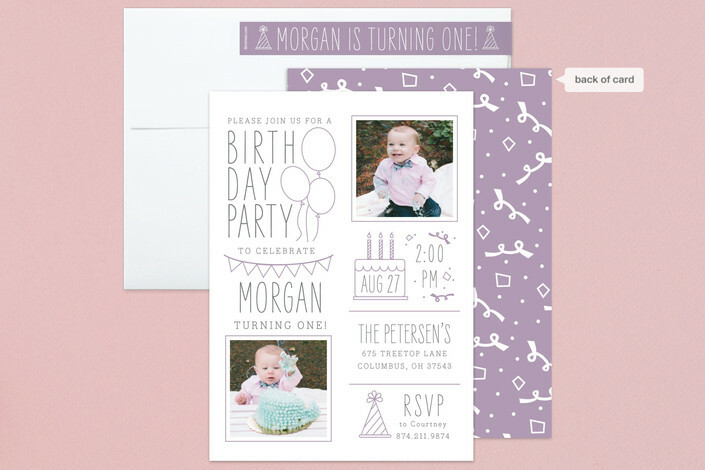 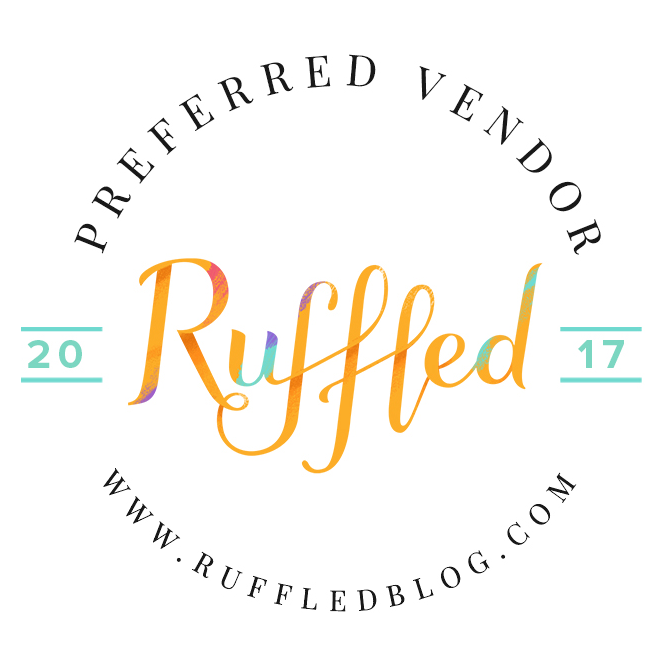 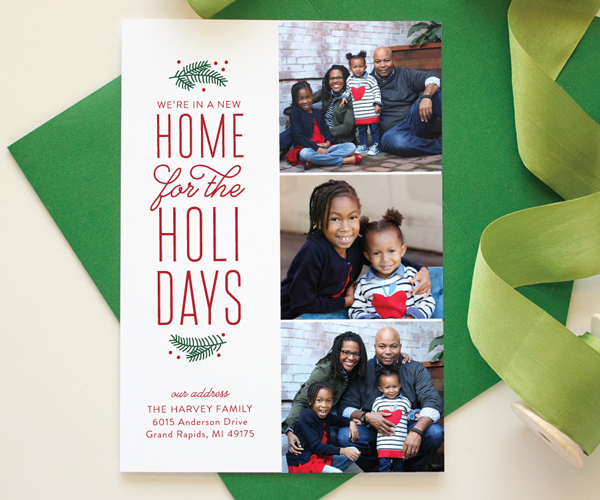 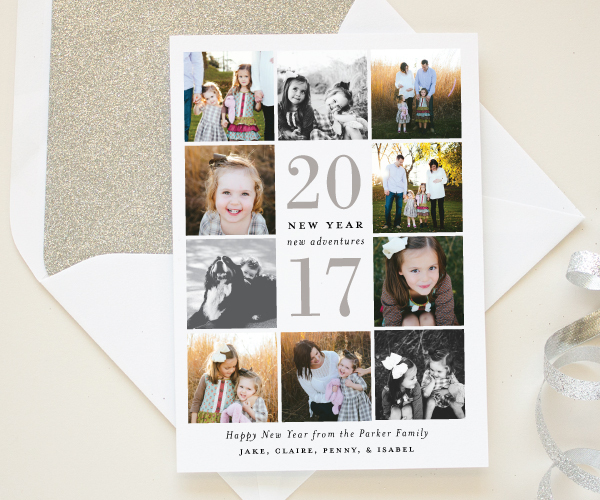 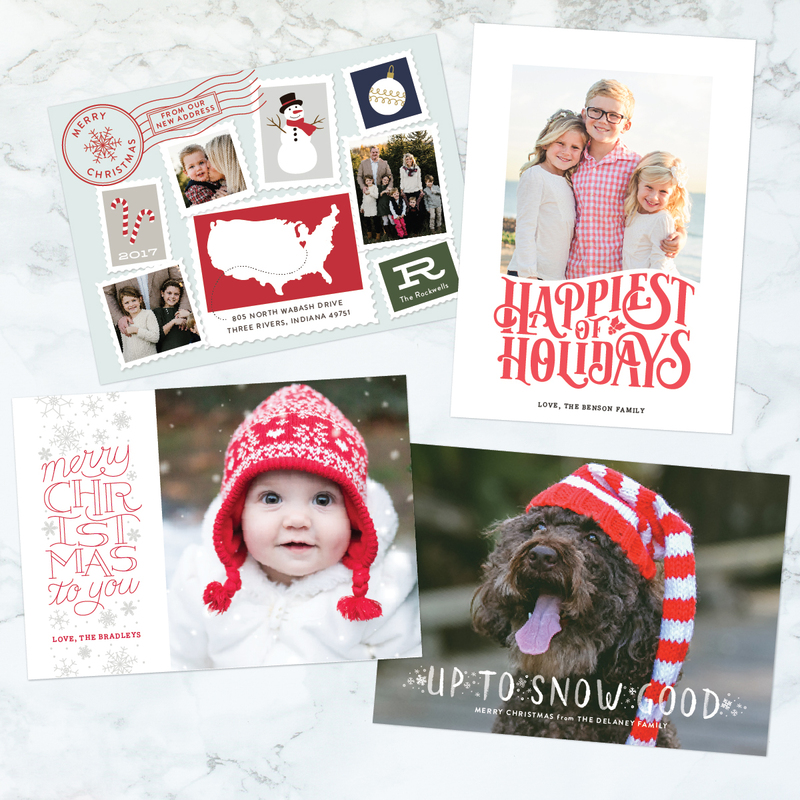 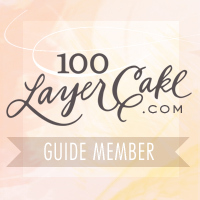 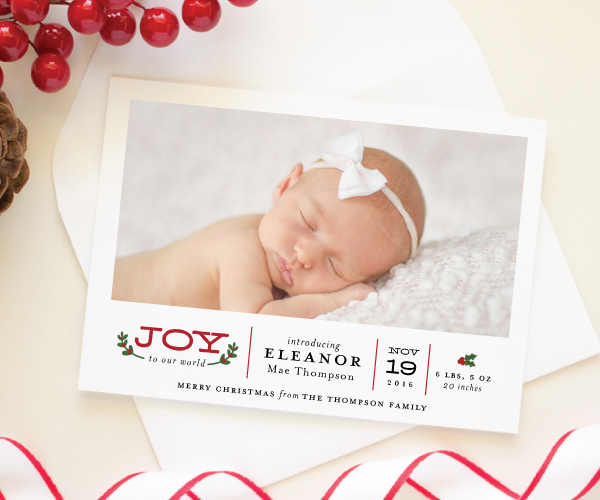 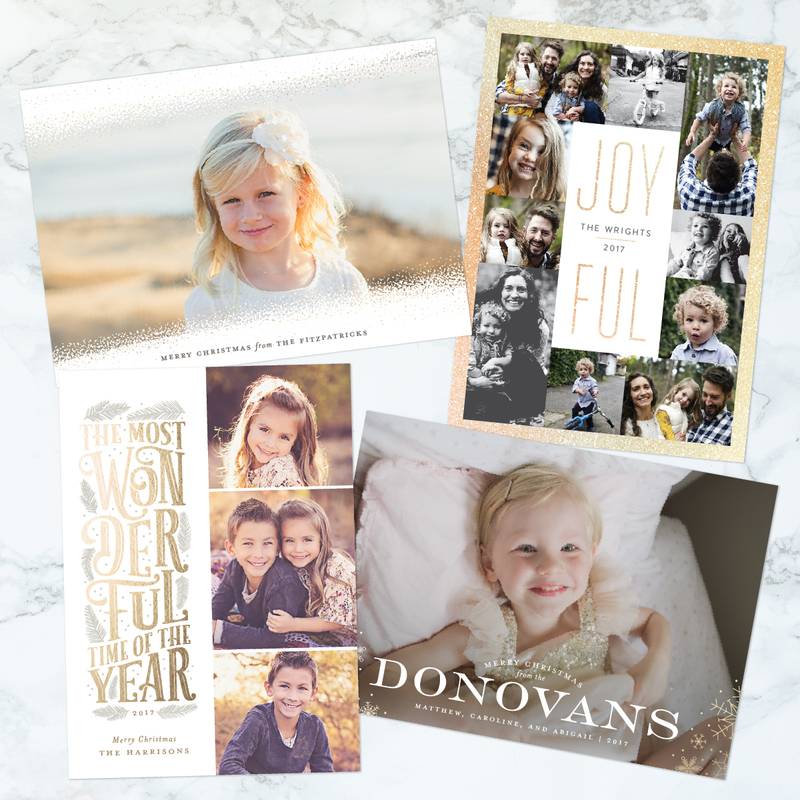 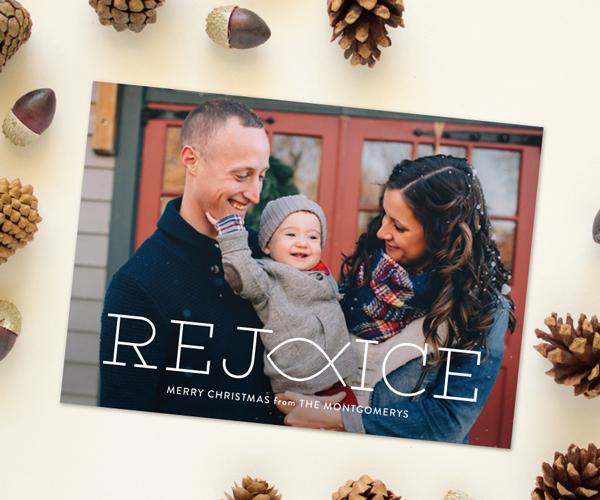 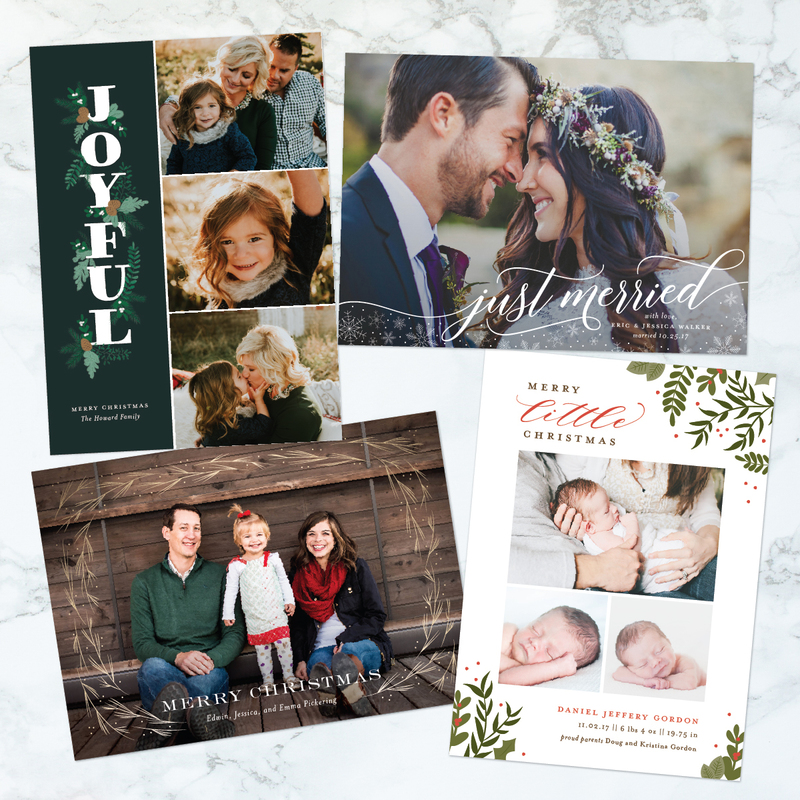 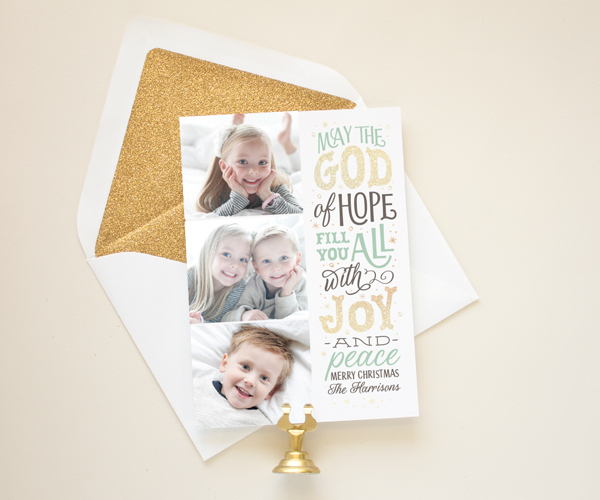 Celebration Stack is available in a variety of colors, and there are lots of coordinating extras like patterned backers and return address labels. 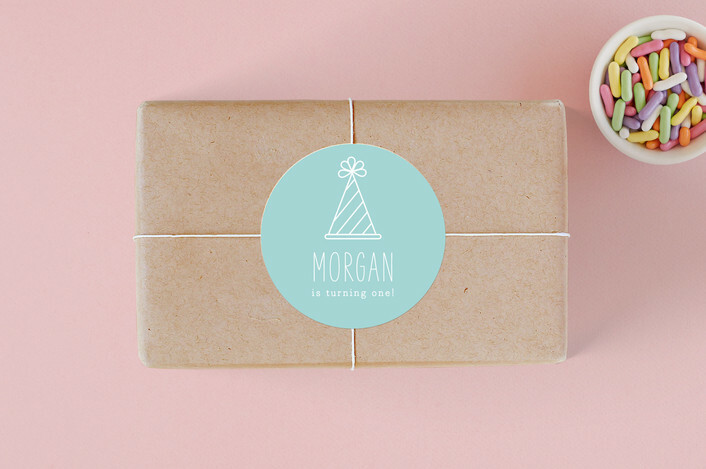 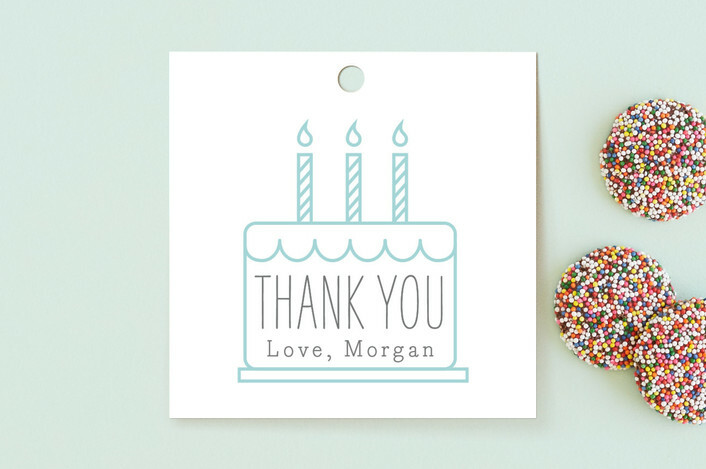 You can also order personalized favor tags and stickers to coordinate all your birthday party decor! 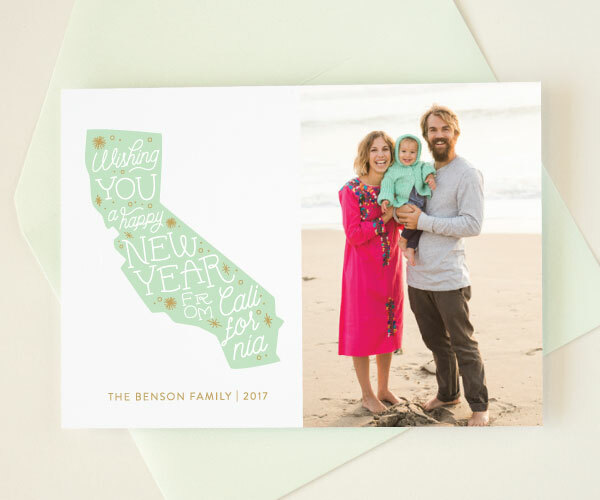 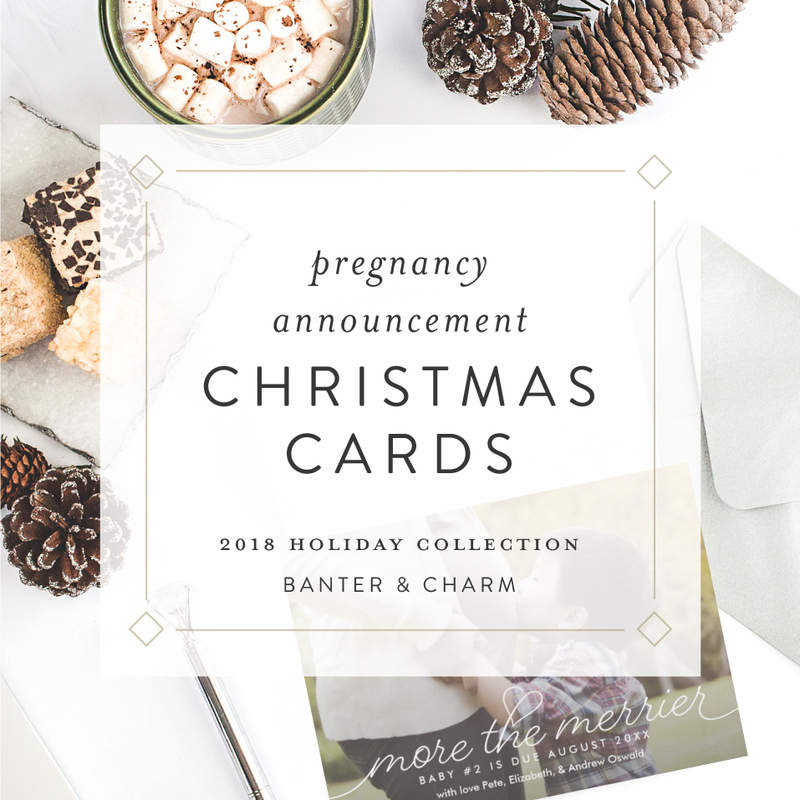 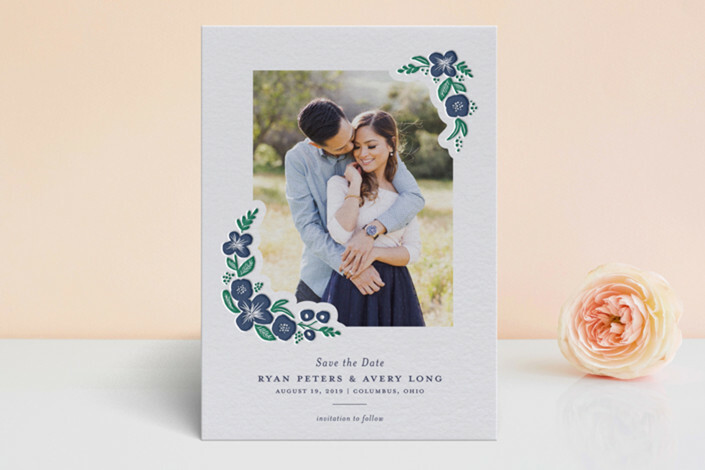 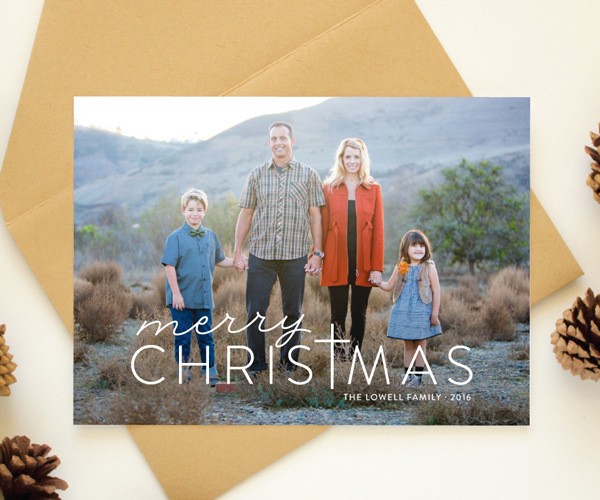 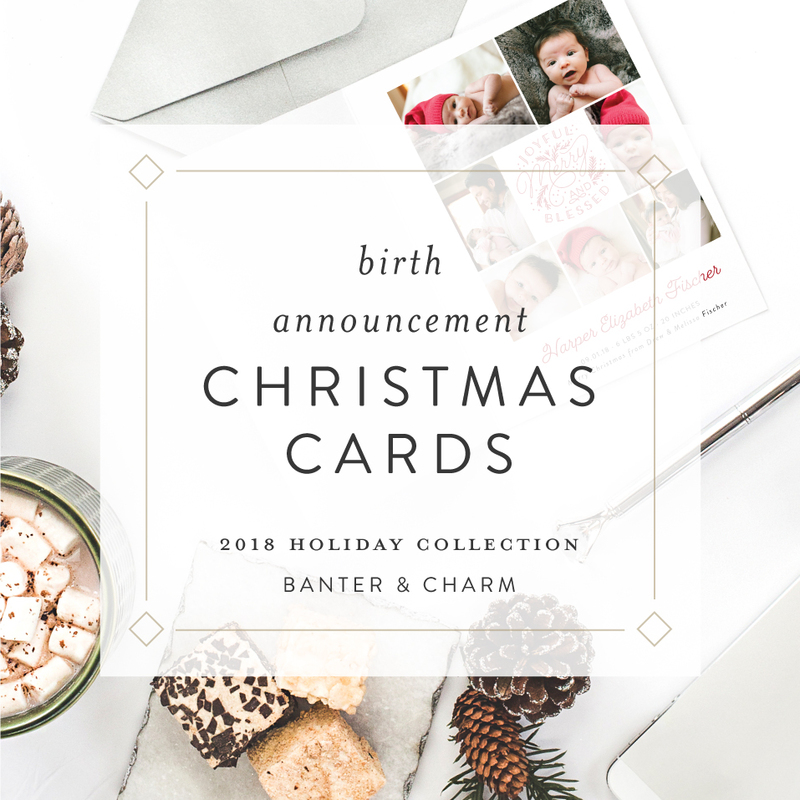 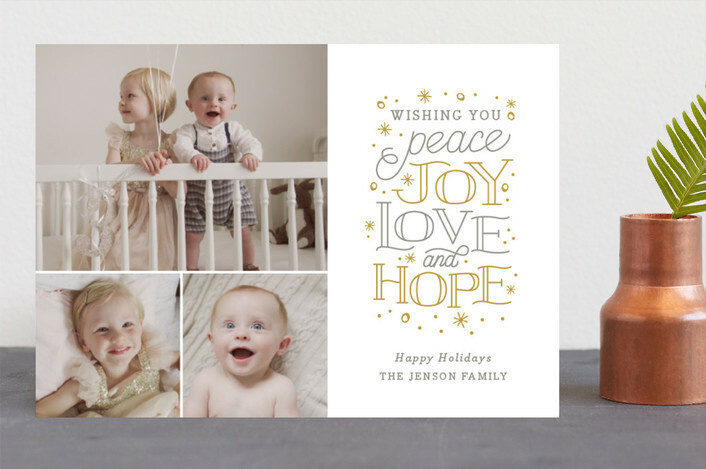 Minted recently launched a collection of letterpress birth announcements, and I’m excited to have one of my designs included! 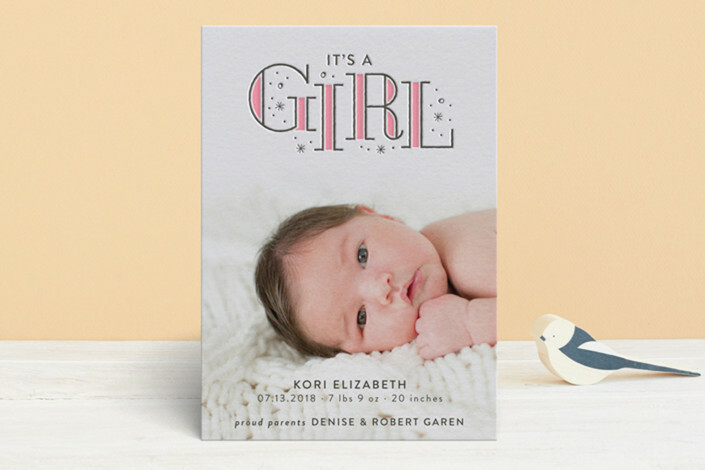 Stardust features the phrase “It’s a Girl” in pink and black, embellished with stars and dots. 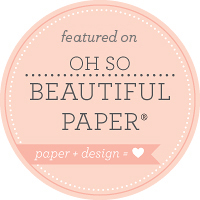 slightly-textured, 118 lb weight paper. 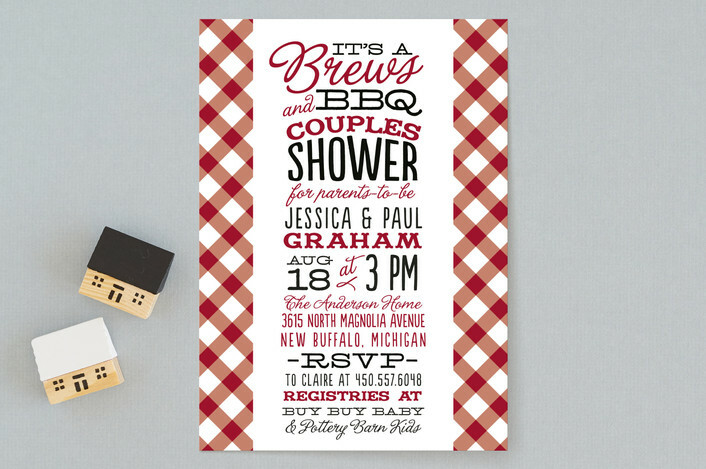 Summer is in full swing, and this Brews and BBQ theme invitation for Minted would be the perfect for a summer baby shower! 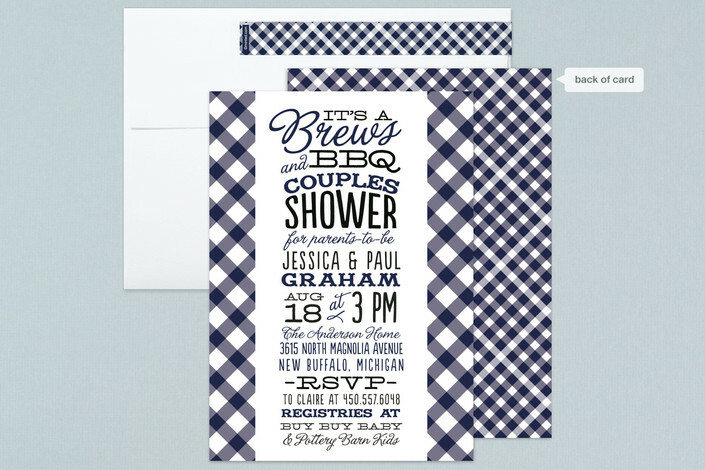 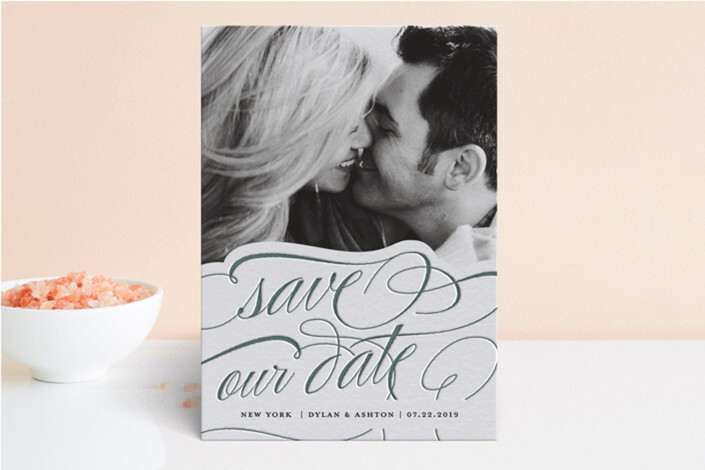 Featuring fun typography and a gingham border, this summer shower invitation is available in a variety of colors. 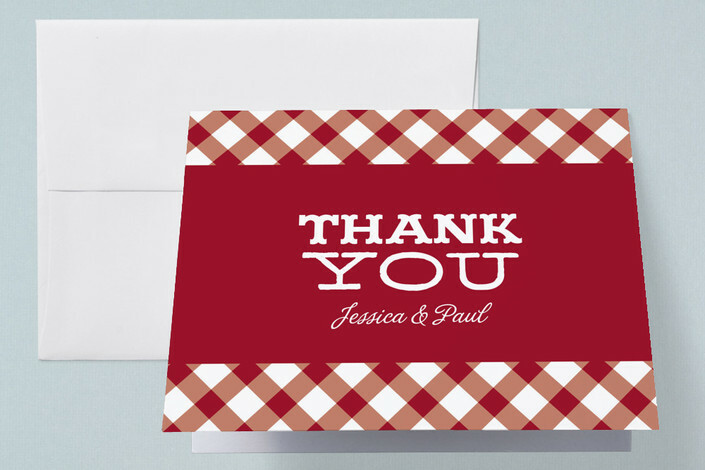 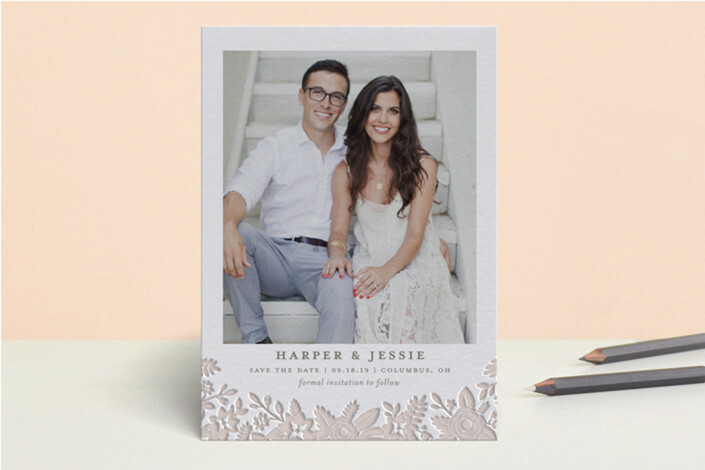 There is also a matching thank you card, along with accessories like postage stamps and stickers. Stacked is a modern baby shower invitation featuring fun typography and cute icons of common baby items in real gold foil!